Today, if a brand doesn’t exist on social media, they are going to fall behind and lose out to competitors. When three-quarters of the U.S. population is using Facebook, with millions also using social media platforms like Instagram and Pinterest, and 1 billion users on YouTube, it’s obvious that ignoring social media will lead to lost opportunities for revenue and brand building. This makes social media marketing skills critically important and qualified job candidates in high demand. If you're considering a job in social media marketing, or you need to add these skills to your repertoire as a digital marketer, a certification is an excellent way to get a solid foundation in the field. In addition to the skills you can learn through a certification program, however, there are other skills you should have to succeed in the social media marketing arena. These skills are described below. It goes without saying that if you want to represent an organization and engage with their customers, then you need to have strong communication skills. But you also need good communication skills for getting along with colleagues, especially since you’ll be working in a fast-paced environment. One of the most important attributes of social media marketing is creativity. A study by Fractl and BuzzStream suggests that 21 percent of social media users un-follow a brand if the content shared is repetitive or boring. To keep followers engaged and hooked, marketers will need to consistently come up with new and engaging ideas, creative initiatives, and campaigns. From Facebook contests to viral videos, social media marketers will need to think of innovative ways to stand apart from the millions of others on social media. Although images and videos dominate much of social media, writing also plays a critical role. Whether you’re creating a Facebook post or crafting a tweet, writing stands as an essential part of a social media marketer’s job profile. If headlines aren’t magnetic or captivating enough, it’s likely people are not going to be motivated enough to click. Content curation has always been a major part of social media marketing, primarily for those businesses that do not have the time to create a steady flow of content on their own. Content curation is an important skill for a social media marketer since they will need to know when to share, what to share and how to share, in addition to being familiar with content sources and audience preferences. 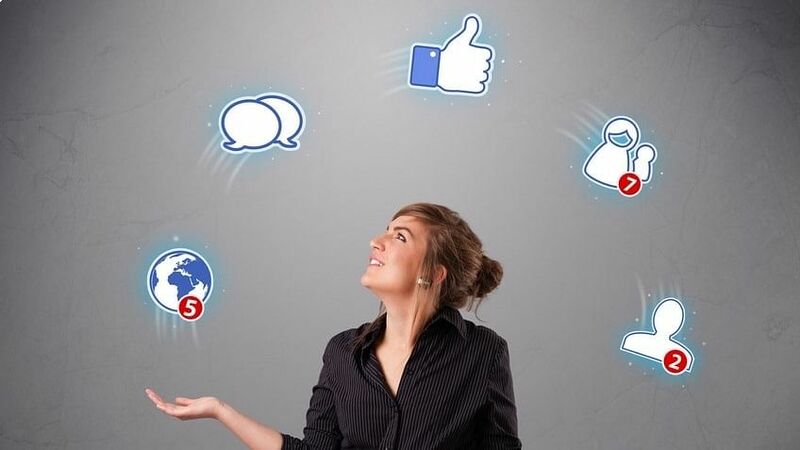 As multi-taskers extraordinaire, social media marketers need good project management skills. They need to create publishing schedules, track contacts, and maintain social media profiles. They will need to run reports, meet with designers and writers, manage ad budgets and much more. With strong project management skills, the best social media managers will stay on to o all tasks as well as know when content needs to be published, what to plan for, and how to keep track of all the different social media conversations going on. You already know technology changes constantly and new social media platforms appear while new features are regularly added to the existing platforms. In addition to that flux, consumer expectations can change on a whim as well. A good social media marketer willingly learns on-the-fly as needed. Although you’re using social media as the tool, you’re still marketing, and you need a solid understanding of basic marketing principles. You don’t need a marketing degree, but you do need good foundational knowledge about how marketing works. As we mentioned above under the Aptitude to Learn skill, change is a constant in social media, and the best social media marketers are those who can quickly adapt to a new situation or respond to something that is happening in the social media environment, whether good or bad. Social media might seem like it’s all fun, but successful social media marketing requires strategy. You can learn social media strategy as part of your training, but it helps to have a mind that works that way too, and a natural aptitude for strategic thinking. Social media marketers also need to reach out to influencers and that makes relationship building a crucial skill to develop. Take a close look at the brands with a big social media presence and you’ll see they all have one thing in common: community. Social media marketing requires building connections and an online community to succeed. Finally, at the end of the day, you need to know if your marketing is working. And that’s why analytical skills are important. You can learn how to check metrics and reporting, but having an analytical mind will help you make sense of all that data—so you can make informed decisions instead of relying on assumptions. Do you need to be strong in all 12 of these skills to succeed as a social media marketer? Not necessarily. If you’re strong in a few, you will do well, especially when you also get some formal training on which to build your social media marketing career. And when you’re aware of your strengths and weaknesses, you can choose to improve in those areas that need it. Digital Marketing is one of the hottest industries to be in now. With the rate at which companies are turning to this industry, there is bound to be a skills-gap. Take a leap. Get into this fast-paced, thrilling industry. Earn a Social Media certification and get ahead.